Philippe Graffin’s virtuosity combined with his skills as a sleuth have led to the world-premiere recording of a “Posthumous” solo violin sonata by Eugène Ysaÿe, an astonishing discovery that extends the Belgian composer’s canon of his essential six sonatas for the medium. Philippe unearthed the nearly-completed manuscript in the library of the Brussels Conservatoire, and polished off the final movement in the most Ysaÿe-esque manner possible. 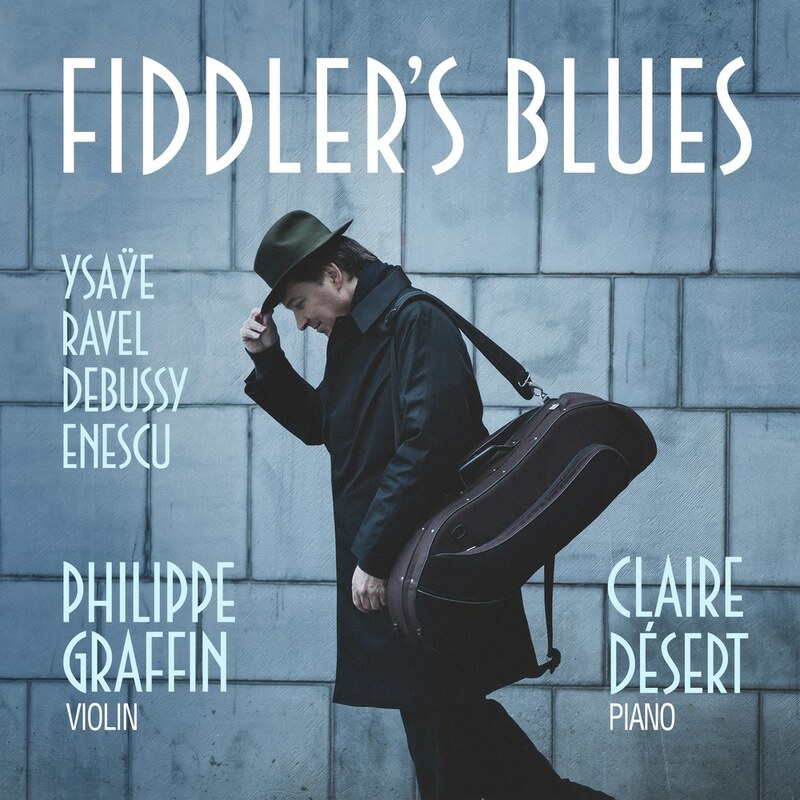 Philippe’s penchant for intuitive programming is brought to bear on Fiddler’s Blues, combining two Ysaÿe works – including another premiere, the Petite fantasie romantique – with a pair of folksy, Bohemian-flavoured works by George Enescu, another virtuoso violinist / composer who emigrated from his native Romania and like Ysaÿe settled in Paris. Enescu was a classmate of Maurice Ravel whose Berceuse sur le nom de Gabriel Faure is an affectionate nod to their teacher at the Paris Conservatoire, whilst his azure-tinged Violin Sonata influences the album’s title. Ravel’s slightly older contemporary Claude Debussy befriended Ysaÿe. Whereas Ysaÿe soared writing works for solo violin, Debussy wrote none. Suggesting how such a work may have sounded, Philippe contributes his own arrangement for solo violin, made together with David Matthews, of Debussy’s enduring piano piece Claire de lune.